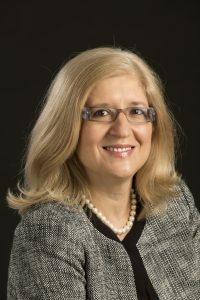 Dean Marija Gajdardziska-Josifovska has led the Graduate School at the University of Wisconsin Milwaukee since January 2014. Since 1993 she has been a faculty member in the Physics Department at the University of Wisconsin-Milwaukee. In addition to her many teaching, research and outreach interests and activities, Dean Gajdardziska-Josifovska has extensive prior service in faculty governance, in the community, and in university administration. Dean Gajdardziska’s interests in leadership for graduate education and research are rooted in her own studies that have spanned three continents. Upon joining the University of Wisconsin-Milwaukee, Professor Gajdardziska became founder and director of the Laboratory for High Resolution Transmission Electron Microscopy. The interdisciplinary research that she conducts with her undergraduate and graduate students and postdocs has resulted in more than 130 peer-reviewed publications, 40 invited talks and 100 conference presentations, $2.3M in competitive extramural funding, and most recently one patent. She currently serves on the Editorial Board of Microscopy and Microanalysis (the journal of the Microscopy Society of America), and the Science Advisory Committee of Argonne National Laboratory’s Electron Microscopy Center. Marija Gajdardziska-Josifovska has received several awards and honors, including Fellow of the Microscopy Society of America (2014), Woman of Influence award of The Business Journal (2014), the Research Corporation Research Opportunity Award (2004), the White House/National Science Foundation Presidential Faculty Fellow Award (1995), the UWM Foundation Research Award (1998); preceded by awards during her student years. Jason is an associate professor of English at UWM, where he teaches nineteenth- and twentieth-century American literature and culture, including literary realism and modernism, science and technology studies, media studies, the history of photography, and economic history and theory. He is the author of Accident Society: Fiction, Collectivity and the Production of Chance (Stanford 2012), and his articles have appeared in interdisciplinary journals including American Literary History, Daedalus, and Mosaic. 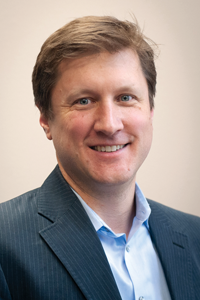 He was the principal investigator for a 2016-17 Next Generation Planning Grant from the National Endowment for the Humanities, designed to improve career diversity outcomes for doctoral students in the humanities. He has served as the Associate Chair for Graduate Studies for the Department of English, as chair of UWM’s Graduate Faculty Committee, and received the Office of Research/UWM Foundation Research award in 2015. He is currently finishing a cultural history of buttons and binary switches from the telegraph to the touchscreen. Erin C. Fox has been working in higher education for over 14 years—including a focus on the recruitment and marketing of graduate students as the Assistant Director for Recruitment; working closely with graduate students after admissions through to graduation as the Assistant Director of Student Records; operating the admissions team as the Director of Graduate Admissions; and for the last three years, overseeing the entire A to Z package as Director of Graduate Education at UWM’s Graduate School. Erin will proudly tell you that she follows in her father’s footsteps who worked in educational administration for over 37 years. Erin believes that the UWM campus has a unique fire and passion that you don’t find anywhere else. From the fantastic students, to the talented faculty, to the hard-working staff—you will find dynamic, dedicated, engaged individuals. Erin is proud to work in and serve the UWM community. 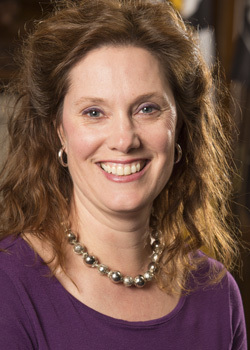 Nicole joined the UWM family in September of 2014 as the first Director of Development for Graduate Education. With vast experience in fund development, grant writing, project management, and relationship building, she is working to build a development program to raise the funding needed to provide competitive assistantships and grow and diversify student enrollments. 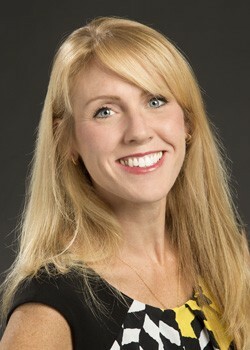 In 1992 she received a BA in English and in Communications from the University of Wisconsin-Parkside. After six years of working for a marketing and promotional company, she switched gears and succumbed to her passion to help others in our community. For nearly sixteen years, she has devotedly served Milwaukee’s nonprofit sector and has worked with various education, literacy and youth based organizations.